According to a source with details of RBC’s plans, Canada’s largest bank will begin internal Apple Pay testing in the last week of February, a process that will continue for two to four weeks. 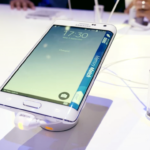 An RBC executive recently noted Apple Pay would be a “major interest to the industry”. We just chatted with a trusted RBC employee via iMessage and asked if they received the above email, since it was directed to “All RBC Bank Employees”. We asked if RBC sends out emails like this and he said “if it is, it’s news to me as we didn’t get any emails.” This employee told us the email is “BS” as he would’ve received a notification. Just relaying words from an RBC employee that is higher than a bank teller level here. The race is on for the first Canadian bank to support Apple Pay here, with our well-established network of NFC point-of-sale terminals. When Apple Pay launched with the iPhone 6 and iPhone 6 Plus last fall, a handful of Canadians were able to successfully test the mobile payment in Canada with approved U.S. credit cards. [Update]: MobileSyrup has updated their story to note “While the pilot project is meant for Canadian employees, it still exists within the confines of the U.S. banking system, as it is aimed at those with an RBC Royal Bank USD chequing account or RBC Bank US credit card. 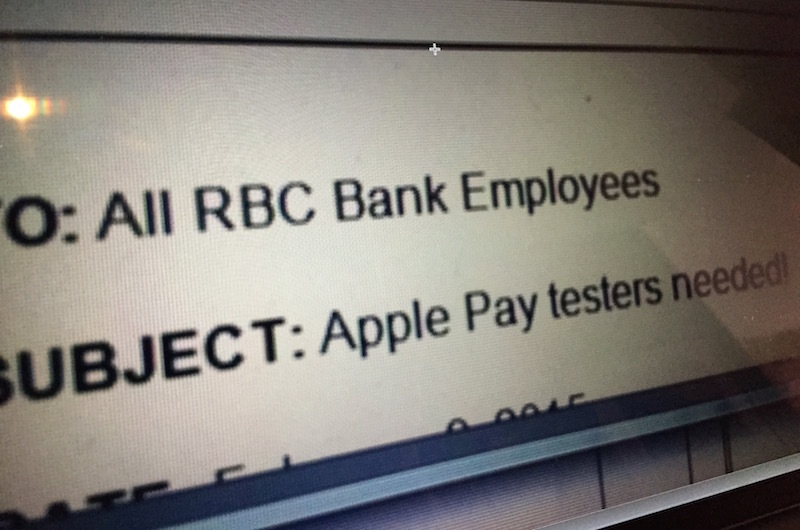 So it looks like Apple Pay isn’t coming to Canada just yet and this memo wasn’t distributed to Canadian RBC employees as originally stated and as our own source confirmed.